I am super excited to start writing my first blog! I have this love for writing and I wasn’t quite sure what else to do with it besides writing in a journal. This seemed like the next logical step to be able to share something I truly enjoy doing. I’m 36 years old, a wife and mother of 2. I have spent the last 17 years as a self employed hairstylist. I adore this career and I am so blessed to have the freedom I need to have the best of both worlds. Having a career and being a mom. In recent years I have become extremely interested in spiritual self growth. I am not affiliated with any religious denomination. I just feel a strong presence of something bigger then me. Whatever you want to call it God, spirit, universe, inner being. Whatever your higher power is, I’m interested in it. I’m hoping this blog gives me a platform to write about my knowledge in the hair industry, being a mom, spirituality, coping with everyday struggles and having a blast doing it in a positive way. Hope you enjoy reading. 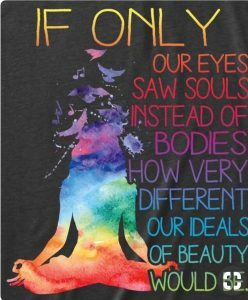 We are all beautiful souls!